Top Gulf diplomats were in Washington on Tuesday as US Secretary of State Rex Tillerson sought to help resolve the stubborn Qatar crisis, amid concerns that Saudi Arabia’s unyielding stance could foil the effort. With a one-week Saudi deadline looming for Qatar to meet its demands, Tillerson had talks with Qatari Foreign Minister Sheikh Mohammed bin Abdulrahman Al Thani. He quickly followed that with a meeting with Kuwait’s Minister of State for Cabinet Affairs Sheikh Mohammad Abdullah Al-Sabah, whose country has taken on the official role of mediator. But Saudi Foreign Minister Adel al-Jubeir, also in Washington, was unbudging over the three-week-old squabble, which has left Qatar, a US ally, isolated under a trade and diplomatic embargo set by its Gulf Arab neighbours. With the support of the United Arab Emirates, Egypt and Bahrain, the Saudis announced on June 5 they were suspending all ties with Qatar, accusing it of support for extremist groups — a claim Doha denies. This was curiously preceded by Donald Trump’s visit to the region. They closed their airspace to Qatari carriers and blocked the emirate’s only land border, a vital route for its food imports. 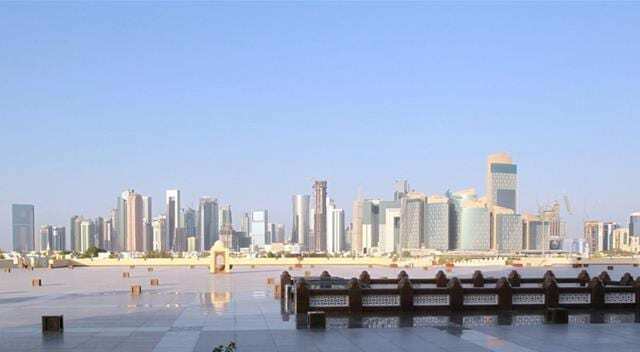 The United Arab Emirates warned that Qatar should take the demands seriously or face “divorce” from its Gulf neighbours.